The goal of Neva King Cooper Ed. Center is to give all our students the tools needed to communicate independently, enhance normalization, and grow/develop to their maximum potential. This will take place through the use of assistive technology, an individualized curriculum, and the assistance of our greatest asset, our stakeholders. 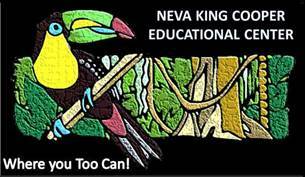 Neva King Cooper Educational Center is a special school in the Miami-Dade County Public Schools with programs designed to provide educational services for students with severe intellectual disabilities, ages 3 to 22. The building originally opened in 1913 as an elementary school and is now listed on the National Registry of Historical Places. Neva King Cooper Educational Center is located in Homestead, Florida. After extensive renovations to prepare the facility for the unique population now being served, the special center opened its doors in the 1984-85 school year.